I would like to know of examples of augmented chords of type 5# (I do not refer to 6th) in classical music, I know the theory for the formation of this type of chords (C aug or C+ or C(5#)-> C, 3ª major interval -> E and 5ª augmented interval -> G#), I have learned many examples in popular music and jazz but I would like to know in as much detail as possible examples in classical music. Before I start, note that oftentimes these "augmented triads" in classical music are not bonafide augmented triads but actually just dominants with a brief chromatic passing tone. But not always! And since I've got Wagner on the brain, here are some other ideas. Wagner, Siegfried, Act I Scene 3 (beginning in m. 2430), at the famous "Nothung!" calls. The calls themselves are above an F augmented triad, and there's a brief intro that could be understood as a D augmented triad. Wagner, Siegfried, Act III Scene 2 (m. 440), as Siegfried confronts The Wanderer. 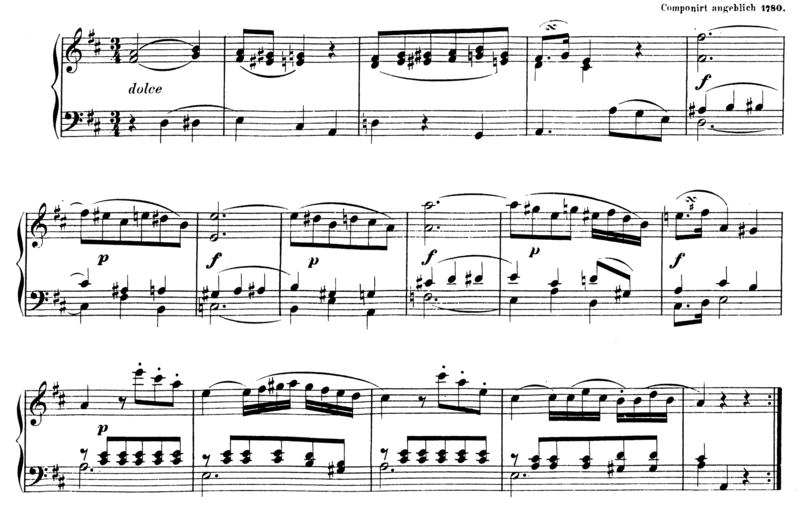 The opening progression, in A flat, alternates between I and V+. Similarly, check out Beethoven's Op. 119 No. 1 Bagatelle in G minor. In m. 17, a V chord in A flat has a chromatic passing tone B-natural that briefly creates a V+. You will find plenty of augmented chords in the music of Edvard Grieg. For instance, Measures 11 and 13 of "To Spring", Op. 43 no. 6. Not the answer you're looking for? Browse other questions tagged chords harmony classical-music or ask your own question.